Choosing the best Action Camera is not an easy task: there are many very different models on the market that can easily confuse a user during the decision-making process. The primary objective is to establish the use that will be made of an Action Cam. In fact, it will be an extension to decide the budget that we have to serve and not the opposite unless you are looking for an affordable camera without any claims. Even in this case, however, it is really easy to run into models that negatively exceed the minimum quality threshold and that, even if they bring with them a good saving, they will most likely remain unused. So let us guide you to discover the right Action Camera for every use. Now it’s time to go into the details of our guide and show you the Best Action Camera 2018 currently available on the market. Below you will find a handy info that will allow you to move easily between the various price ranges. Xiaomi aims to dominate other markets as well as that of smartphones and the premises are more than good. In this figure, you can not find better since the quality of the recording is comparable to higher-end products. The display is certain, but simply connect your smartphone via Bluetooth to be able to view live images. If you really cannot give up the display, but still look for a cheap product, this Action Cam is certainly one of the most interesting models. The integrated WiFi and a good supply of accessories combined with a quality that is more than sufficient. Another great budget Action Camera is here: in this case, you can choose different filters and effects depending on what the recording environment is. The interface has been designed with the user in mind who can activate the various functions of the CX model by using only on two buttons. The new GoPro HERO7 White is offered with some features less than the more expensive models, but with a much more aggressive price. Remaining among the mid-range Action Cams, in fact, you can bring home a product with excellent quality, equipped with most of the technical features that have made the fortune of GoPro. Even this GoPro aims very high, thanks to high-quality materials, video recording up to 4K and 10MP photos in single mode, sequence, and timing. Designed to be tough, the HERO5 Session is water resistant to 10m (33 ft) without an enclosure. Too bad for the lack of battery life. We open this category with another Action Camera from Xiaomi able to record video in 4K. For the selling price, you will bring home an excellent product that can give you satisfaction with any type of use. Who said that an Action Cam must necessarily have sober colors? This model, in addition to being particularly flashy, contains an 8MP sensor that allows you to record excellent videos in 2K. Even the battery life is also not bad. This SJCam M20 also has a different style from the usual action cam. It convinces thanks to the Sony IMX206 16MP sensor that gives very good photos and, together with the Novatek 96660 chipset, allows recording videos at 2K at 30fps and up to 4K at 24fps. Another strong point is its weight of just 55 grams. The best in this price range is undoubtedly the Yi 4K Action Camera, equipped with a 12MP Sony IMX377 sensor, 7 layers of glass lenses and Electronic Image Stabilization (EIS) to ensure high-resolution, ultra-clear 4K video stable. Excellent performance even in low light conditions, it can record videos up to 4K at 30fps and has a 160-degree wide-angle lens. GoPro has monopolized the Action Camera market in recent years, thanks to superior quality models compared to the competition. Precisely for this reason, even if Hero5 is a product of 2016, it remains always current. Inside there is a sensor that can record 4K video and the software is really light years ahead of other brands. 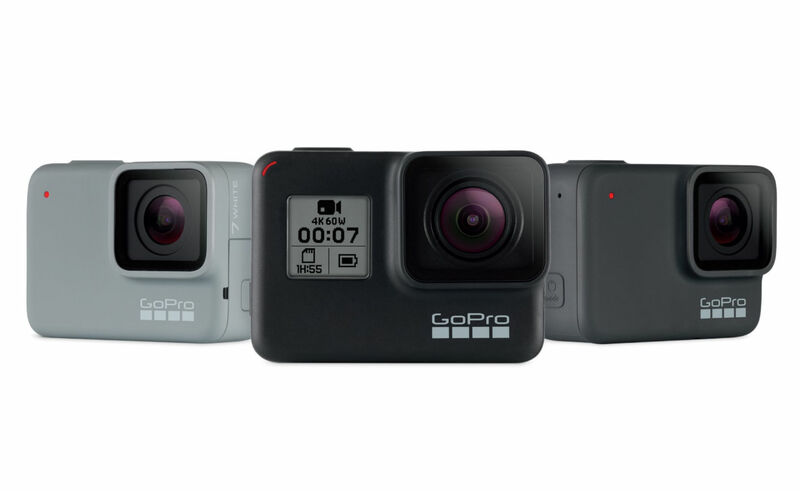 The new “budget” model of GoPro also allows those who do not want to spend exaggerated figures to approach high-quality products. 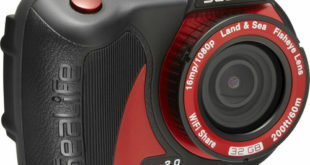 The 10MP sensor is used and allows video recording in 4K at 30fps. There is no lack of touchscreen, which can be bypassed by voice commands and excellent stabilization, but not at the level of the elder brother. Just introduced, the new GoPro Action Cam is already enjoying a lot of success. Although at first glance it may seem very similar to the previous model, the changes are tangible and not negligible. 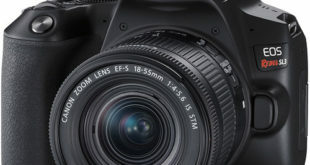 The 12MP sensor is indeed significantly improved compared to the past and thanks to the HyperSmooth stabilization, allows perfect shooting even in the most difficult conditions. Do not miss the water resistance up to 10meters, voice commands, and HDR photos. GoPro HERO6 Black, however, remains a product more than current and high-level features at a price all in all correct. The sensor is able to record 4K video at 60fps and to take excellent HDR photos even in RAW format. Do not miss the impermeability up to 10 meters. If you are looking for a product out of the chorus, both as a design and as a feature, we can only recommend this Sony Action Camera. 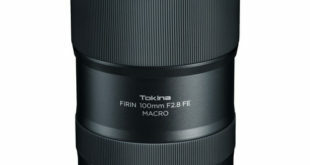 The recordings are made using an excellent 12MP Exmor R sensor which, working with Zeiss Tessar optics, allows to obtain an above-average quality. Connectivity is also high level, thanks to the presence of WiFi and NFC. Nikon has always been secure in the video/audio field and is not denied even with his action camera line up. This model is equipped with an excellent 170-degree ultra-wide angle sensor so as not to miss a single detail of the scene you are recording. This is combined with water resistance up to 10 meters and resistance to cold, bumps and dust. This Action Cam from Garmin deserves to be included in this guide, which is aimed directly at sports and outdoor enthusiasts. The technical specifications allow it to record videos up to 4K at 30fps and is equipped with G-Metrix – GPS 10 Hz with high sensitivity and integrated accelerometer. After the full purchase guide on the Best Action Camera 2018, you can also take a moment to the point of the situation on the best-selling Action Cameras on the Amazon. The inclinations to purchases by users can say a lot about which models are most appreciated. 【FULL HD VIDEO AND PHOTO RESOLUTION】 - 12MP and 1080P together can make sure you capture high quality pictures and videos easily. And 170°wide-angle lens allows you to shoot wider scenes and catch more amazing moment of your surroundings. 【30 METERS WATERPROOF PERFORMANCE】 - With the solid and pretty waterproof case, you can dive into water up to 98 feet / 30 meters. Perfect for water sports, such as swimming, diving, surfing and so on. You can explore the unknown underwater world. 【WIRELESS REMOTE CONTROL CONNECTION】 - After connecting with your phone via Wi-Fi, you can directly operate the camera in "iSmart DV" APP on your cellphone, such as recording videos, taking pictures. Besides, you can download, delete and view files. 【2 RECHARGEABLE HIGH-CAPACITY BATTERIES】 - The camera comes with two rechargeable 1050mAh batteries. No more worry for power running out during the happy times with your family and friends in a short time. You will never miss any precious moments. 【2" LCD AND MOUNTING ACCESSORY KITS】 - A larger screen allows you to view videos or pictures more clearly. 18 multifunctional accessories enable you to mount your camera to helmet, bicycles, wrist, etc. Great companion to shoot the exciting moment. 【14MP 1080P Full HD & 2-Inch LCD Display】1080P 30fps fluent and clear videos and 14MP photos, you can also select 720P 60fps or WVGA resolution. Preview real time HD videos and pictures easily and the 2-inch LCD Display brings you gorgeous visual enjoyment. 【170°Ultra Wide Angle & Long Battery Life】The 170° ultra wide-angle lens will capture everything you could desire and more. And 2 rechargeable 1050mAh batteries, double recording time and double enjoyment. A fully charged battery can record for about 120 mins. (Actual recording time depends on selected functions). 【Built-WiFi & Easy Control】Available to view all videos or photos captured on your smartphone and also remote control the camera via App. You can also download videos and share them to your social media. 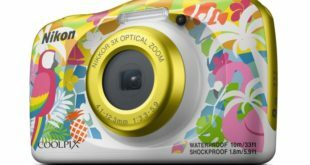 【Waterproof up to 30M】Camera comes with a pretty waterproof case which supports for underwater sports up to 30M. It helps you capture your every fantastic underwater sports moments like swimming or diving. 【Safe Guarantee with APEMAN & 20+ Accessories】30 days money back and 12-month warranty and professional after-sale service within 24 hours. With 20 accessories, perfect companion for your outdoor sports, like mountain bike, running, cycling, snorkeling, etc. EASY NAVIGATION, CLEAR PREVIEW: The fascinating 2" IPS retina display screen, show clearer shots than the traditional LCD screen, making photos, videos look real, subtle and vivid. Just for the moment, our journey in search of the Best Action Camera 2018 ends here. The models that we have presented, conveniently divided by price range, are the best you can currently find on the market. If you are more passionate about the camera, we recommend reading some insights that have already been published on our site: here you will find many other Action Camera models for all tastes.